Locations are constantly updated when location is read. No more wasted time locating any vehicle on your lots. Google Maps shows two of the selected automobile locations. Drive direction and distance are displayed. By locating any particular vehicle faster, the efficient service you provide your customer with will increase your sales and create a greater loyalty. Without even having to walk the lot a salesperson can take the customer right to the vehicle they are looking for. When managing multiple lots, shuffling cars around is going to be a given. How often does a customer “give up”, get confused or switch to another vehicle when looking for the vehicle they want? You want to make sales, not excuses. 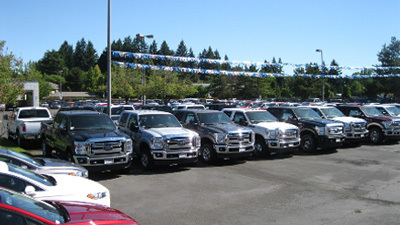 Sales departments lose sales every month due to the inability to find the vehicle. With AutoMap the associate can reliably locate the exact vehicle in inventory regardless of weather or light, increasing sales conversion rates and boosting productivity. Track a vehicle from PDI to handing the keys to the customer, every step of the way. No longer will your employees waste time looking for vehicles. Contact AutoMap today and we will be happy to come to your dealership or auction house to set up a free, personalized demonstration.